THE vast majority of the ingredients in a chemical used in coal seam gas drilling operations have been kept secret from the public since its importation into Australia was approved in late 2014. 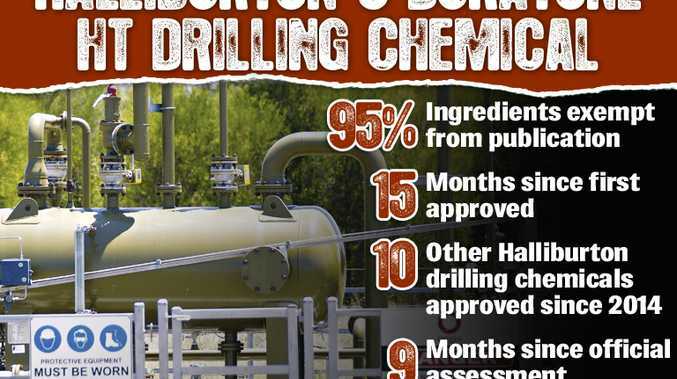 Manufactured in the United States by chemical giant Halliburton, the "Chemical in Duratone HT" was approved ahead of an assessment of its potential health and environmental effects in July last year. But assessment documents show the National Industrial Chemicals Notification and Assessment Scheme gave Halliburton extensive concessions under commercial-in-confidence rules to keep information from being made public. Those exemptions, which protect companies' commercially sensitive information, allowed the chemicals giant to keep secret about 95% of the chemical's ingredients. While the results of human health toxicology and environmental toxicology studies were provided, the actual studies of the chemical's potential effects were also deemed "exempt information". 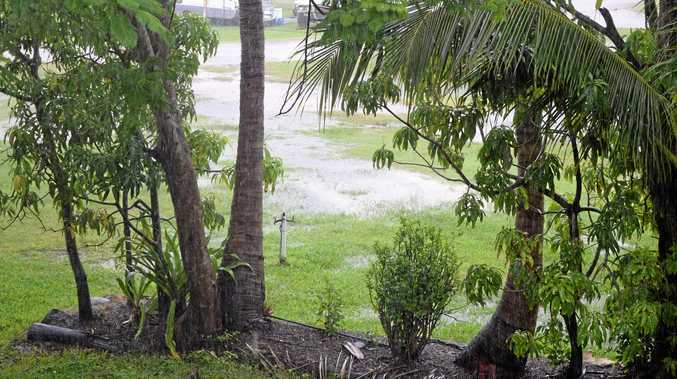 Environmental group National Toxics Network's senior adviser, Dr Mariann Lloyd-Smith, said the information that had been publicly released was "to put it bluntly, bugger all". "Even Halliburton's own documents about this chemical show that certain local environmental regulations do not allow it to be used," she said. "They themselves acknowledge there may be a problem with this chemical, so how dare they (the regulator) give them confidentiality over 95% of its ingredients and then give us a document that tells us virtually nothing?" The company has also produced a more environmentally friendly product that does a similar job as Duratone HT, called Duratone E, but has not applied to import it to Australia. "How come we have a chemical where even the producers know that some environmental regulators say they can't use it, the company has even gone about producing something less harmful, but the government allows them broad confidentiality?" Dr Lloyd-Smith said. HYDRAULIC fracturing involves the injection of a "fracking fluid" into a coal seam via a well in order to crack the coal seams below ground to release gas. It usually involves a mixture of about 97-99% sand and water, which is mixed with chemicals that help open up the fracture, keep it open, and keep it free of debris. A 2014 report said only about 6% of all wells drilled in Australia in 2013 involved the process, but in Queensland, the practice is tipped to grow up to 40% as the industry expands. Documents show Duratone HT, a "filtration control agent", comes in 25kg bags of powder that contain between 60% and 100% of an unknown "notified chemical", making up about 95% of the active ingredients. The only known ingredient in the powder was crystalline silica, or powdered quartz, which was reported as an "impurity" that comprises up to 5% of the "notified chemical". That substance is found in bricks, cement and other building materials. It can cause lung cancer and is listed as a "hazardous chemical requiring health monitoring" by Safe Work Australia. A "typical application" of Duratone HT in a single well would include between 1620kg and 5400kg of the powder mixed with "other ingredients" to create the injection fluid. The chemical can be used in offshore and onshore drilling operations, but it is unclear where, when or how much of it has been used in Australia's CSG industry, as such information is not publicly reported. A Halliburton spokeswoman did not respond to ARM Newsdesk's questions. But a recent submission to the regulator said the company regards "the protection of confidential information from public disclosure" as of "critical importance", and such disclosures could erode the firm's "overall reputation and market position".